Barcelona captain Lionel Messi wants the club to bring in Kalidou Koulibaly from Napoli and Milan Skriniar from Inter Milan. 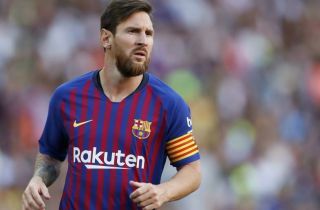 Despite a thrilling 4-2 win against Tottenham in the Champions League on Wednesday, during which he scored two goals and earned widespread praise for his performance, Messi was unhappy with the way Barca defended on the night. According to Don Balon, the Argentine superstar is becoming increasingly worried about the team’s vulnerability at the back, which has been a major issue at the start of the 2018-19 campaign. Ernesto Valverde’s men have been irresistible going forward as ever, however, a three-match winless run prior to their victory at Wembley highlighted issues in the defence. As Don Balon reports, Gerard Pique is looking like a spent a force as he approaches the latter stages of his career at 31 years old, while Clement Lenglet has struggled to adapt to life at the Camp Nou since his move from Sevilla this summer. 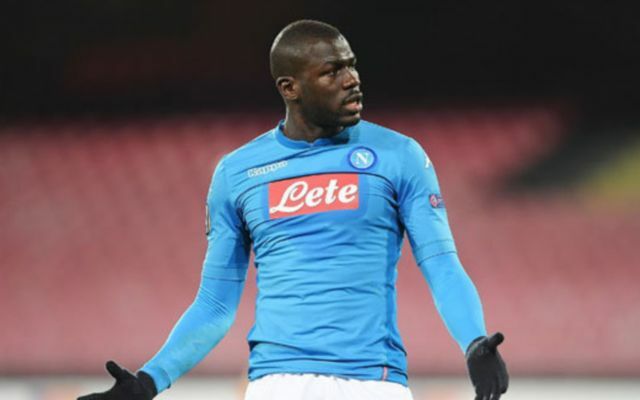 Don Balon states that Messi is pushing for the club to target Koulibaly, who is currently thriving for Napoli as a first choice centre-back, along with Inter starlet Skriniar who is also one of the best defenders in Serie A. Both men are doing well at their respective clubs but if the Spanish champions were to come calling when the transfer window re-opens, their heads could be turned by the prospect of playing for one of the biggest football clubs in the world. Barcelona are targeting success in the Champions League this season after watching arch-rivals Real Madrid lift the trophy for the last three years in a row and they have started strongly in Group B with two impressive victories. However, in the latter stages of the competition, a strong defence is of paramount importance to mount a strong challenge for the trophy and at the moment, Valverde’s men look capable of shipping goals from every which way. The Catalan giants will turn their attention back to La Liga on Sunday when they travel to the Mestalla to face Valencia.